We got answers this week to our hardware questions, but just as important this time of year are updates to the operating systems running it all. 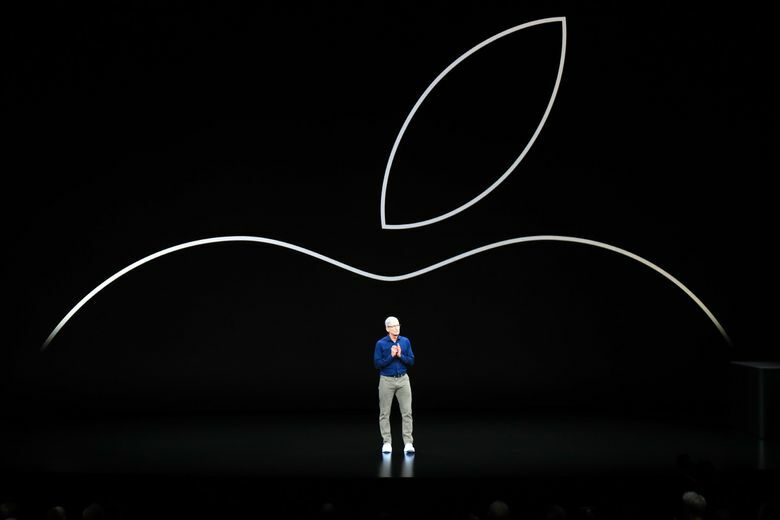 The months between Apple’s Worldwide Developer Conference (WWDC) and the annual September announcement of new iPhones is typically a slow build, peppered with product leaks, speculation and guesses about when everything will actually be released. After this week’s event, we now have answers, which I want to cover quickly before looking at some goodies in iOS 12. 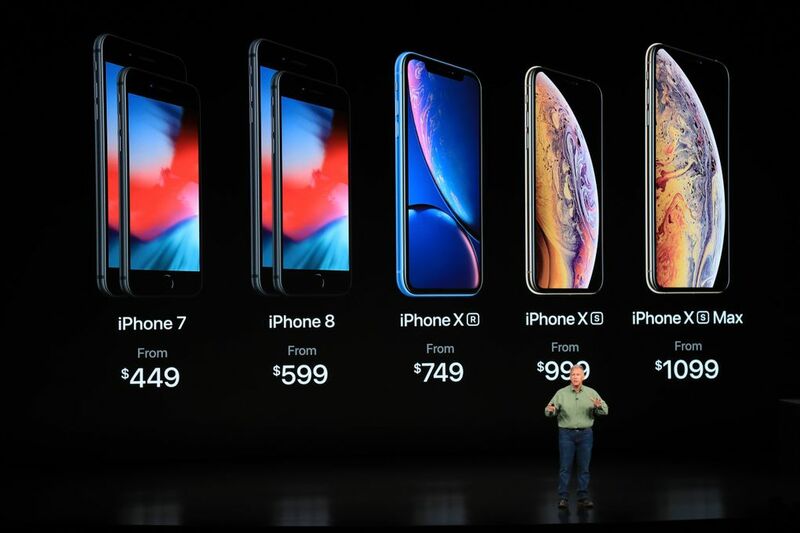 The iPhone is adopting the X factor from last year, with the iPhone XS, the plus-sized iPhone XS Max (yes, that’s the real name) and the new iPhone XR, which is now the “budget” version of the X line. The latter includes the same processor, Face ID security system and most of the technical specs of the other two models. Its main difference is having an LCD screen, versus an OLED screen, no 3D Touch feature (replaced with Haptic touch, which delivers feedback when long-pressing an item) and a single back-facing camera instead of dual cameras. It’s also physically larger than the iPhone XS, but smaller than the iPhone XS Max, and comes in a handful of colors. Apple has a nifty Compare iPhone Models page on the web for those who want to dig into the specifications. Pricing for the iPhone XR starts at $749; the iPhone XS starts at $999; and the iPhone XS Max starts at $1,099. Preorders for the two iPhone XS models began on Sept. 14, with the first shipments due to arrive on Sept. 21. The iPhone XR pre-order period begins Oct. 19 for shipping on Oct. 26. The iPhone 7/7 Plus and iPhone 8/8 Plus are also still for sale. The beloved iPhone SE has been retired. 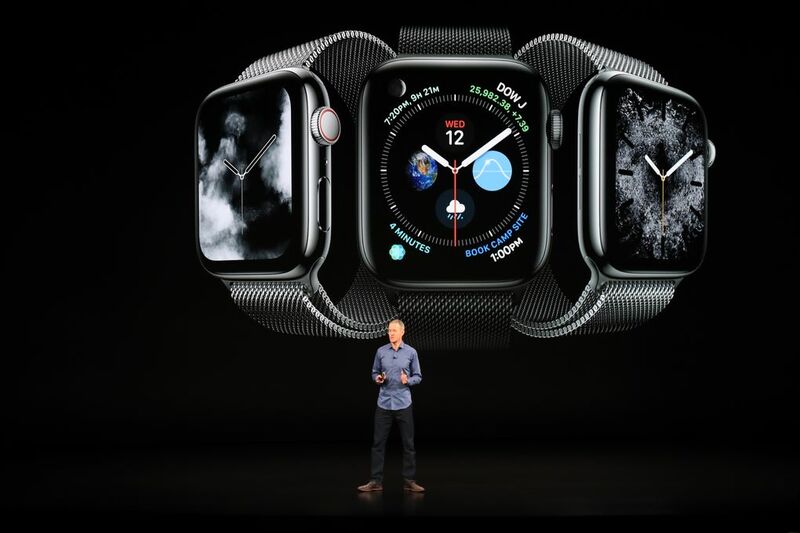 The other product highlight of the event was the Apple Watch Series 4, which has a slightly new external design, including a larger screen with smaller bevel, and significantly improved internal components. Apple is including even more health features, such as more ways to keep tabs on heart rate and identifying possible evidence of atrial fibrillation, as well as a mechanism for taking ECG (electrocardiogram) readings. It also features a way to detect if the wearer has fallen, and if there’s no movement detected within a short period, the watch can make an emergency call. As before, the Apple Watch has two sizes: a 40mm (up from 38mm) that starts at $399, and 44mm (up from 42mm) that starts at $429. The bands are still the same size, so any bands you may own still fit. GPS-only and GPS with cellular options are available. New hardware is fun to gawk at, but just as important this time of year are updates to the operating systems running it all, including devices you currently own, regardless of whether you plan to buy new equipment. Apple’s iOS 12 is due to be released Sept. 17, and is a free update. The same goes for watchOS 5 (which applies to every Apple Watch model except the original — yes, including the $17,000 gold Edition models), and tvOS for the Apple TV. The newest Mac update, macOS Mojave, lands Sept. 24. Consider this your helpful reminder to make backups of your data before installing any of these. • The Measure app: Apple’s work with augmented reality (AR) is technically impressive, but as I mentioned in February (“Where are the augmented reality features in iOS taking us?”), it can be one of those features you play with at first and then forget about. iOS 12 improves AR in several ways, including better recognition of vertical surfaces. The Measure app is simple, but handy when you can’t remember for the 12th time where you put your measuring tape. The app uses the device’s camera to display whatever real-life object you want to measure, and then you add end points for what you want to measure. • Do Not Disturb: With Do Not Disturb turned on, you won’t receive notifications or phone calls; I’ve had mine set to activate automatically through the night since the feature first appeared. In iOS 12, there’s finally more granularity in how it works. In Control Center (swipe down from the top-right corner, an iPhone X behavior that is now standard in iOS 12), and long-press the Do Not Disturb button to reveal options for setting it for just one hour, until the evening, or until you leave your current location. • Screen Time: After you’ve had the update installed for more than a day, open Settings and go to Screen Time. This reporting mechanism tells you where you’re spending your device time, with options for scheduling down time and setting app limits. • AirPods Live Listen: Like a lot of people, I sometimes have trouble discerning voices in noisy environments, like restaurants. If you own a pair of Apple AirPods, you can enable Live Listen, which uses the iPhone’s microphones to help cancel out the background noise and focus on what’s closer. It’s available as a Control Center widget. • Shortcuts: This is perhaps the feature I’m most looking forward to using. Shortcuts tie together Siri and automation to create chains of actions. For example, you could say, “Hey Siri, I’m leaving the house,” which would turn off your HomeKit lights, turn down the thermostat, get a traffic update, and pre-order a coffee (provided you have apps that work with Shortcuts). As I write this, I’ve been running the public beta of iOS 12 for several weeks; the Shortcuts apps was a separate beta that I haven’t been part of, so I’ll be exploring it when Apple releases it, presumably on Sept. 17 with the iOS 12 update. There’s a lot more in the OS updates, of course, but this should get you started. I’m looking forward to digging into them more in the coming months.